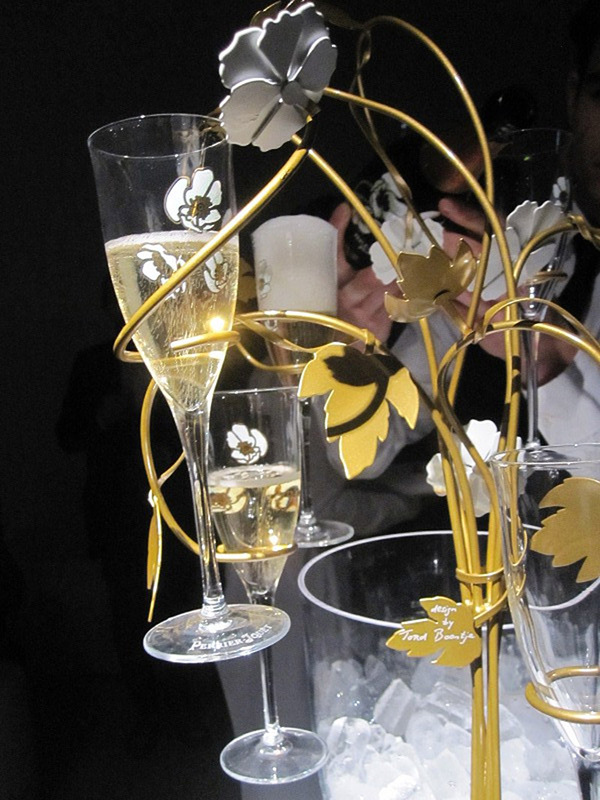 If It's Hip, It's Here (Archives): Champagne Cooler With Branches To Hold The Bubbly. 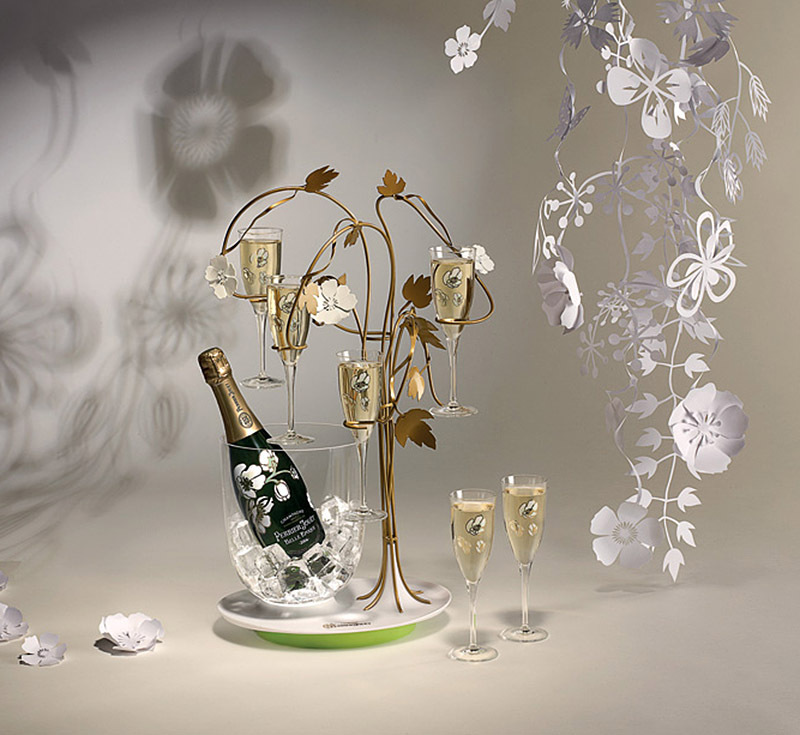 The Enchanting Tree for Perrier Jouet Champagne by Tord Boontje. Champagne Cooler With Branches To Hold The Bubbly. 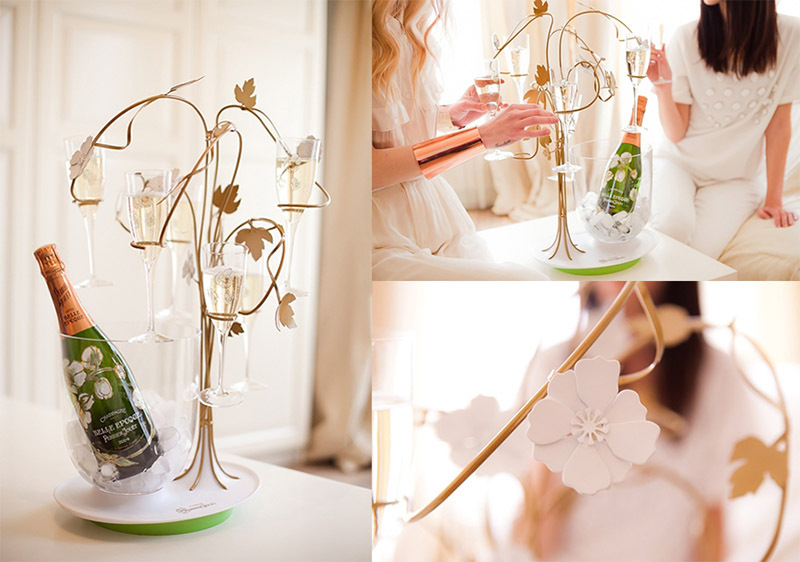 The Enchanting Tree for Perrier Jouet Champagne by Tord Boontje. As part of its artistic heritage, Perrier-Jouët continues its tradition of supporting and collaborating with artists and designers. 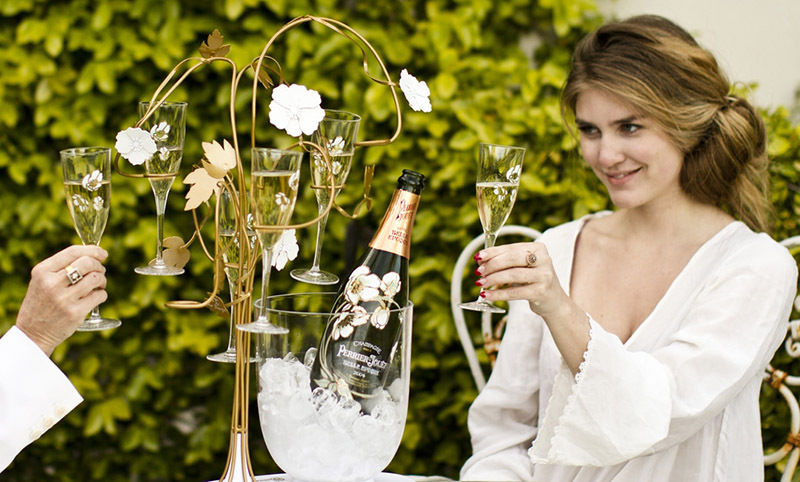 This year the brand unveiled "The Enchanting Tree", a creation that reinvents the gesture of champagne. 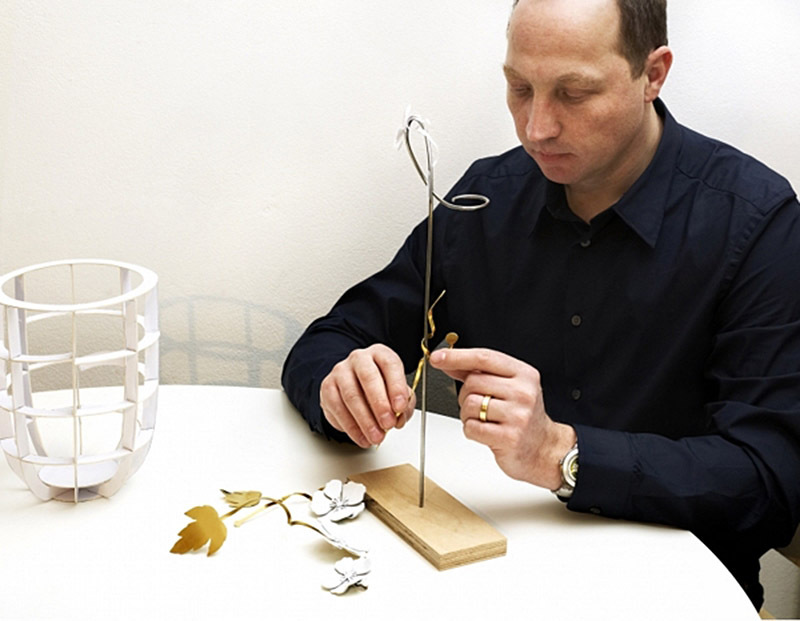 Six participants can pluck a flute of Perrier-Jouët’s Belle Epoque cuvee from the tree designed by Tord Boontje. At its base, an ice bucket preserves the champagne’s coolness. 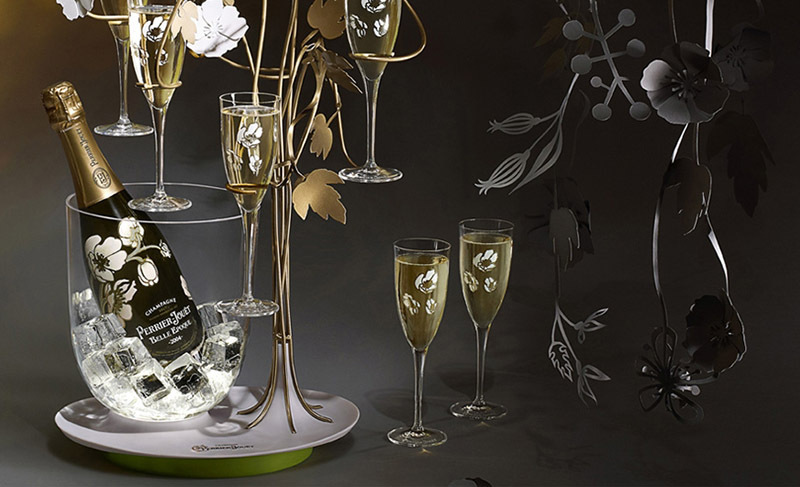 Perrier-Jouët and Tord Boontje collaboration is rooted in a shared appreciation of Nature, Art Nouveau & craftsmanship. 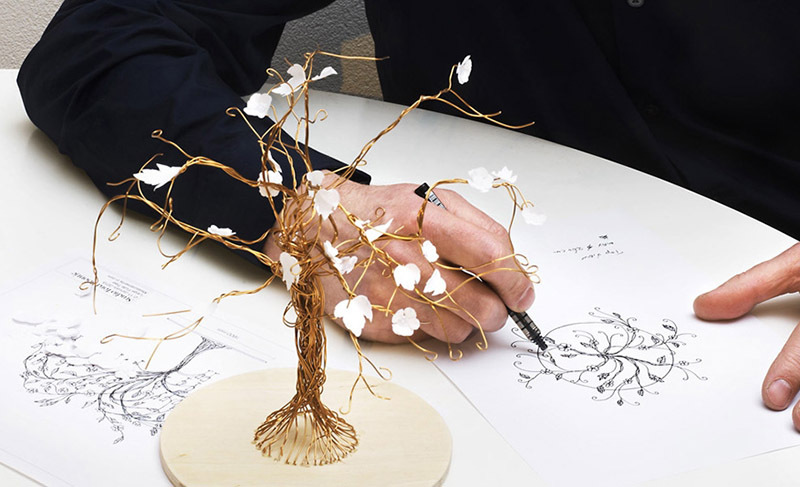 Inspired by Nature as an inexhaustible source of inspiration, the designer has reinterpreted nature light-heartedly to create a fairytale in honour of spring, with floral forms flowing through a golden hand-worked tree. 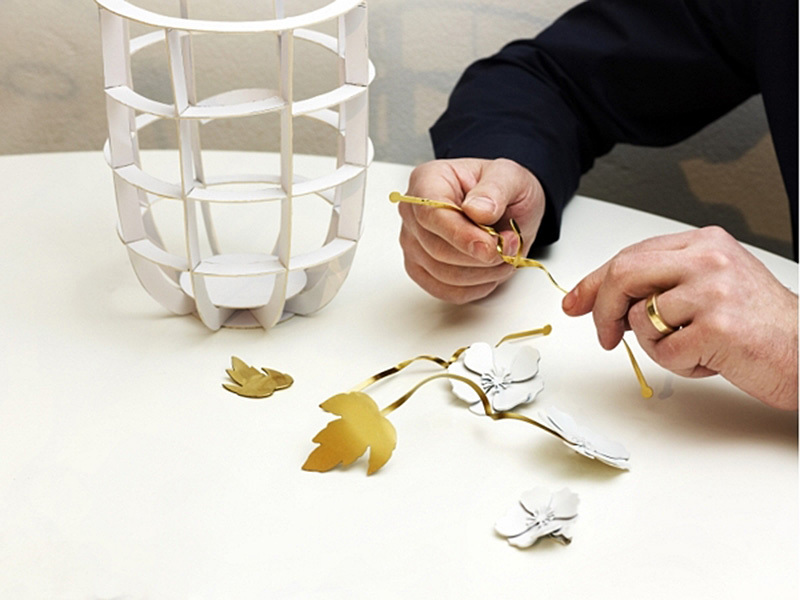 With his hand-worked metal branches, the leaves soldered one by one, the anemones lacquered in white; Tord Boontje has reinvented the tasting ritual to create a decidedly Perrier-Jouët moment. 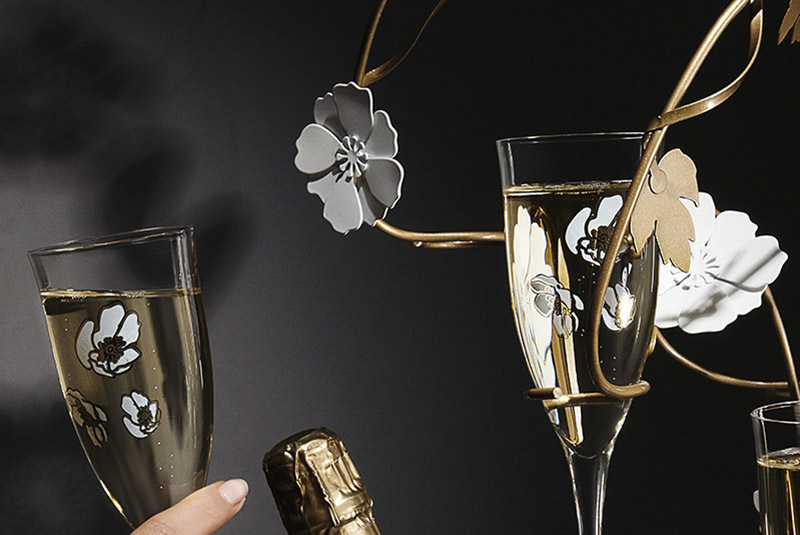 Inspired by those iconic swirling anemones, Tord Boontje designed a fluid and flowing tree, a plant sculpture with anemones and champagne flutes for blossoms. 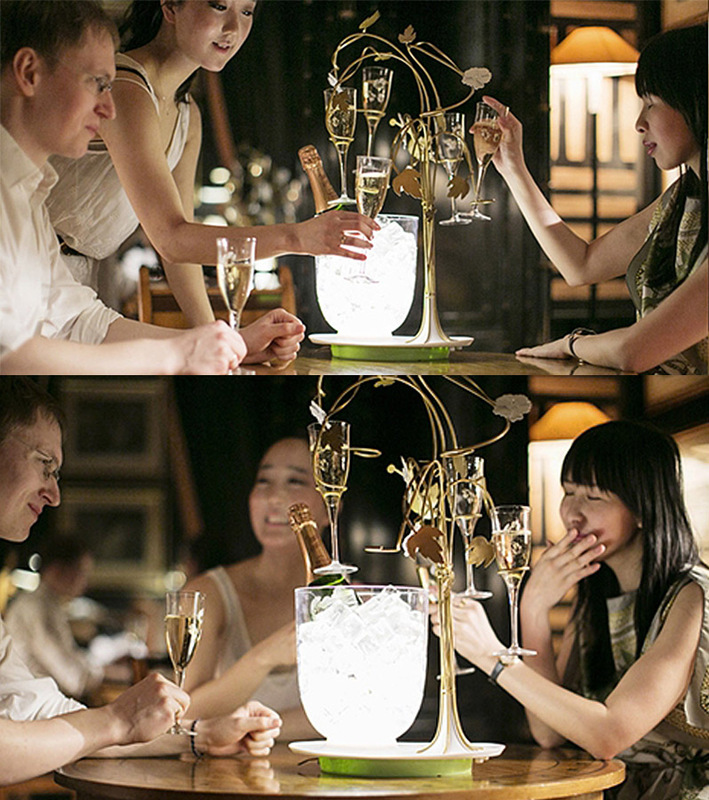 Suspended in mid-air in order to maintain the coolness of the champagne, they bathe the golden branches in light, reflecting the pearly drops of water on the ice bucket below. A refined and resolutely modern Perrier-Jouët creation, lending a hint of the sublime to the tasting of a Belle Epoque cuvée. 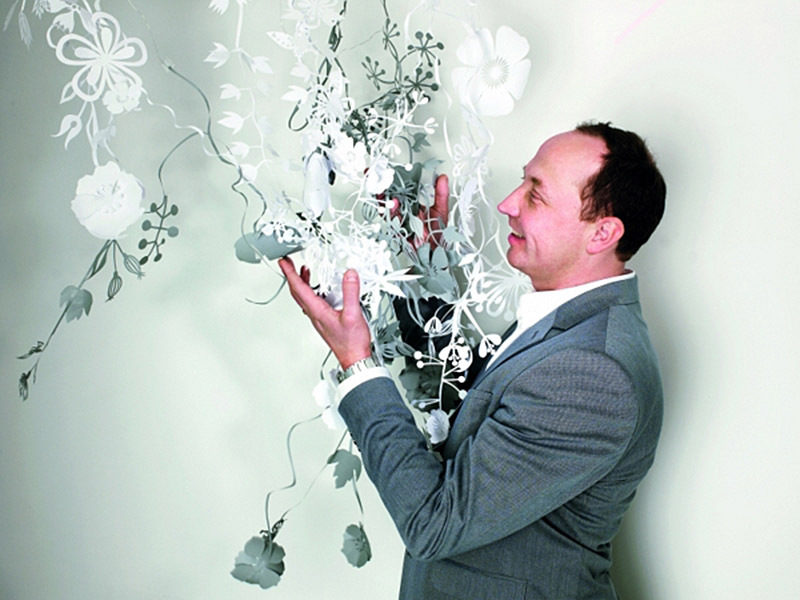 Tord Boontje, an artist born in 1968 in the Netherlands, studied industrial design at the Design Academy in Eindhoven (1986-1991) then at the Royal College of Art in London (1992-1994), before founding his own design studio in 1996 in London. 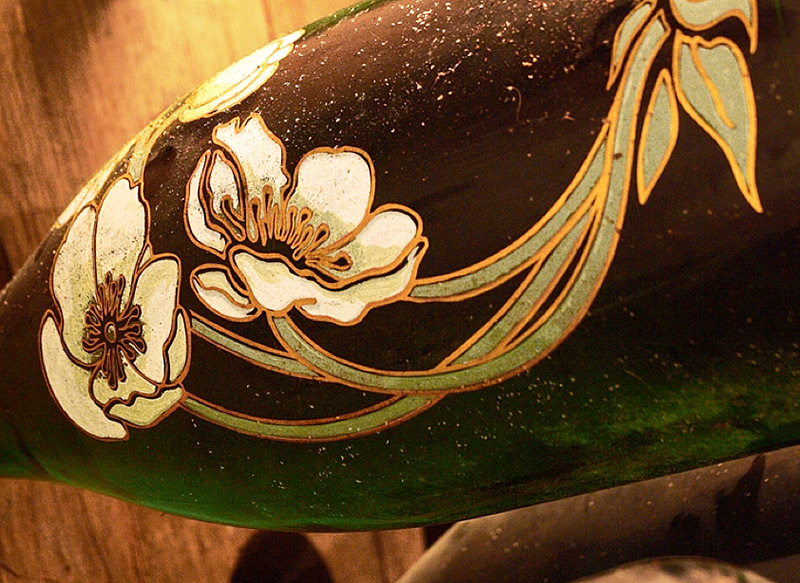 He draws inspiration from nature and incessantly explores the relationship between nature and technology: the association with Perrier-Jouët was thus a marriage made in heaven. "My ideas come to me while strolling in the forest and observing the way light and nature interact" explains the designer, who refuses to link modernism and minimalism.